Wolf & Whistle is a brand I've known of for a while after finding them on ASOS when looking for swimwear for a fuller bust, but there is so much more to the London based brand than can be found just on ASOS. If you go directly to their website, you'll see their full range of absolutely beautiful pieces from dresses, to jackets to skirts. It is blindingly obvious that each design is constructed with the end consumer in mind making clothes that are comfortable, practical, beautiful and wearable. But the clothes are only the start of the things I love about Wolf & Whistle. I don't know about you, but I always read a brand's 'About Us' page. I like to know who's behind the brand, what they stand for and what their inspirations are. I really feel it helps me connect with a company, and for those who have a great story to tell, it allows the consumer (i.e me), to feel a part of that story. Emma and Louise, the brains, creative spark and beauty behind Wolf & Whistle explain the values and ethos of the company, something which we can all relate to. "We want to create clothes that you wear not clothes that wear you. We realise beautiful people come in all ages, shapes, sizes and colours. So much of fashion is about telling women what to do and how to be but we want fashion to be something that is enjoyable and makes women feel good. Even though we are a small independent brand you might have noticed that we have collaborated with a number of high street retailers to create garments outside the narrow size ranges typically offered in the high street. We have worked with ASOS to create lingerie and swim styles that go up to a G cup and Simply Be to create clothing and swim that goes up to a size UK 26. We also love beautiful things. Beautiful unique things just like our customers. We design all of our prints and embroideries in house and pay attention to fit and details. Small details make us smile like Cheshire cats. As a Northern girl Louise knows that when you’re getting dressed up to go out it’s all about the perfect dress and buying from the high street is a sure way to see someone else in the same outfit! We make sure all of our clothing designs are limited edition, making between 50 – 200 of a style." Seriously, what is there not to love about that kind of loyalty and commitment to women? and all women at that. If you follow Wolf & Whistle on social media, you'll see that everything mentioned above isn't just empty words. They feature women of all shapes and sizes in their clothes, celebrating females feeling beautiful and comfortable, unlike a lot of other brands I could think of. So by now, I'm sure you've fallen in love with Wolf & Whistle, so let's talk about their Spring Summer 2017 collection and I promise you'll love them even more. This collection takes inspiration from modern tailoring and romantic prints with a mix of fabrics. Vintage floral wallpaper inspired prints are a key feature of many of their pieces which are all made of light and wearable cotton. 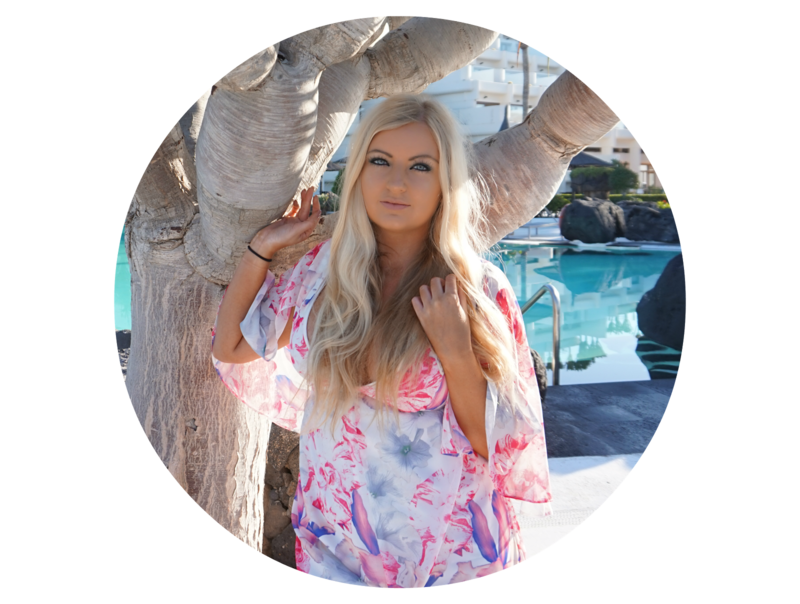 Throughout this post, I've wearing the beautiful Floral Flutter Sleeve Playsuit. Whilst it was ridiculously difficult narrowing down everything I loved from the website, this playsuit stood out to me because of the beautiful colours, print and stunning batwing chiffon sleeves. The feeling of movement and dance definitely comes through in this piece and I tried to work with the light to show off the lovely sleeves. As soon as I opened the package, I fell in love with this playsuit. The material was absolutely beautiful, lined where some more coverage was required with a plunge necklace and side zip. I honestly think this garment is more beautiful in real life than on the website. Overall, I couldn't love Wolf & Whistle as a company, and their pieces any more if I tried. I'm genuinely so happy, and proud to have worked on this collaboration with them. Full credit to both Emma and Louise for creating something beautiful and ensuring it's also obtainable for all of us. Find out more about Wolf & Whistle on their website. Let me know if any of their collection catches your eye! beautiful playsuit and I love what the brand stands for! Time to check them out!